It’s time for the Five Minute Friday link up again! The rules, as usual, are that you write for five minutes with no editing. 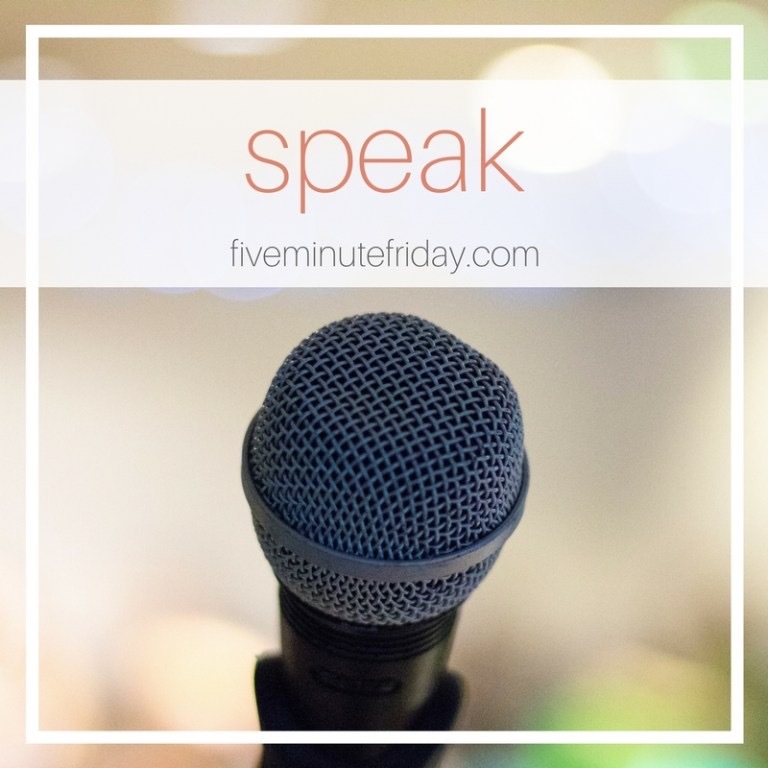 Today’s prompt is “Speak.” Here we go. One of the best aspects of the Epic Book Tour was meeting authors from all over the country. I always have and always will be in awe of anyone who manages to wrangle their thoughts into a whole collection of words that becomes a book. 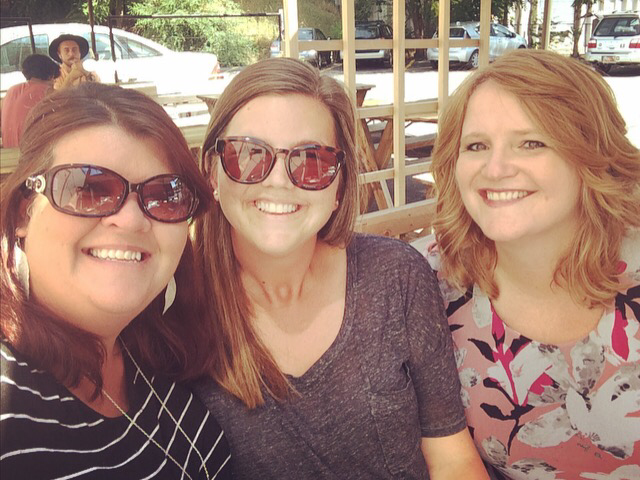 When we were in Salt Lake City this July, Anna and I had the opportunity to have coffee with Nish Weiseth one afternoon. This came about after I saw Nish’s comment about Anna’s book on another author’s social media and sent her a message asking if she’d like to meet when we were in town a few weeks later. (I TOTALLY did not expect to hear back from her). Since I’ve not mentioned that on any of my social media platforms, I thought I’d give her a shout out today. Nish is funny, opinionated, laid-back, smart, sassy, and passionate. She loves her city and the people in it—which was clear in the couple of hours we spent with her. With relationship comes trust and faith between friends. This is the missing piece of the evangelism puzzle that we’ve been looking for. Most of us who grew up in or around church and Christian culture have been told that the cross of Jesus is a salvation bridge between us and God. Some of us have handed out our tracts and cold-called strangers on the street to tell them about the glorious salvation of Jesus Christ. But really, it’s a lot simpler than that. Evangelism should simply be another by-product of genuine relationship with others…of understanding that ensures the conversation will be built on love. What a lovely conversation that is. 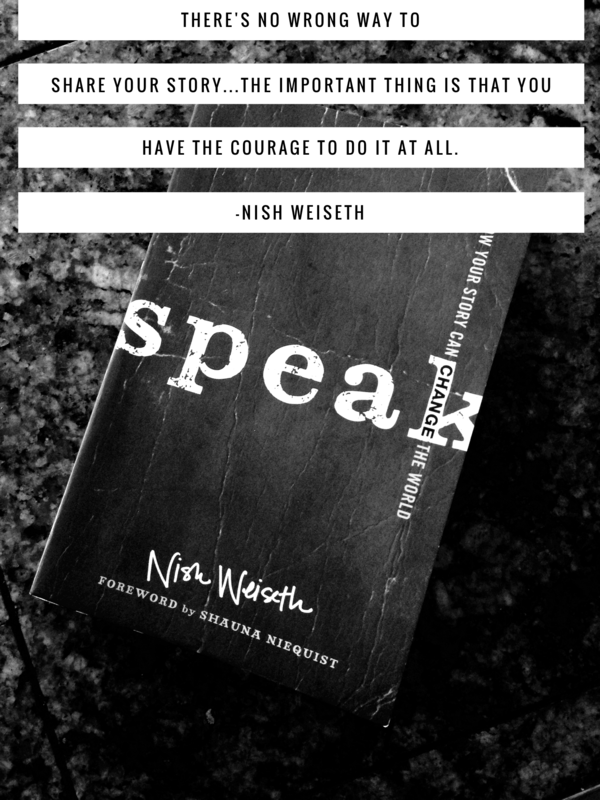 If you’d like to learn more about Nish, you can find her at www.NishWeiseth.com, on Facebook, Twitter, and Instagram. 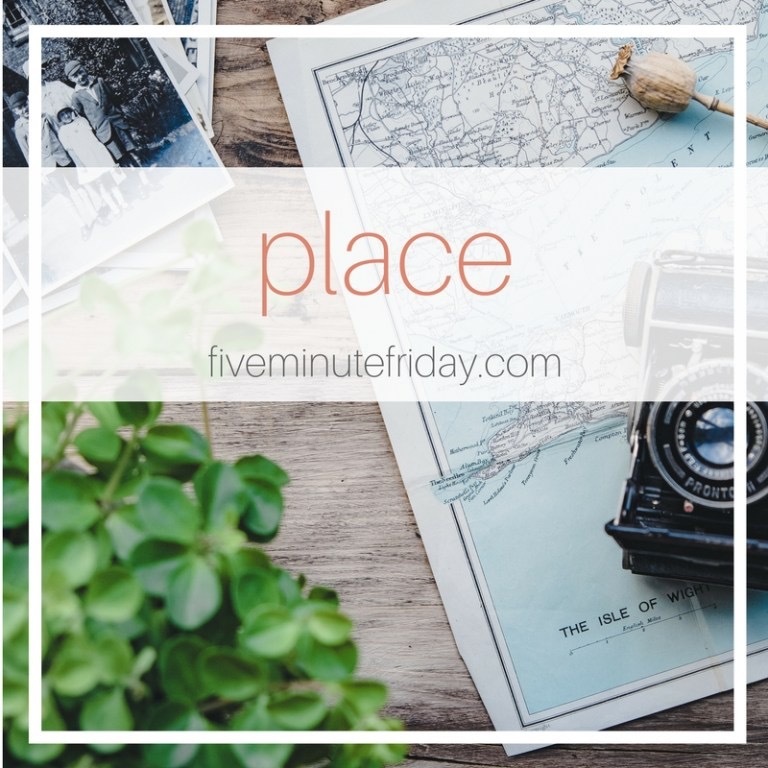 Today’s Five Minute Friday prompt is “Place.” As always, the rules are to write for five minutes; no editing allowed! There were a lot of directions I could have gone with this word–and I’ve barely scratched the surface with these five minutes’ worth of words. For the last five days, my place has been either my bed or the couch. My mind and body have decided they’re taking a break—and a well-deserved one at that on the heels of the #EpicBookTourTPD. In my wildest dreams, I never thought I’d come to the end of the summer of 2017 with the ability to say that I’d seen the ENTIRE country in four months’ time. And yet—there I sat, having found my place as road manager in the passenger seat. 2 women (who may be more than a little crazy). Places upon places upon places. It passed too quickly some days and too slowly other days, and the whole thing is very much a blur right now. 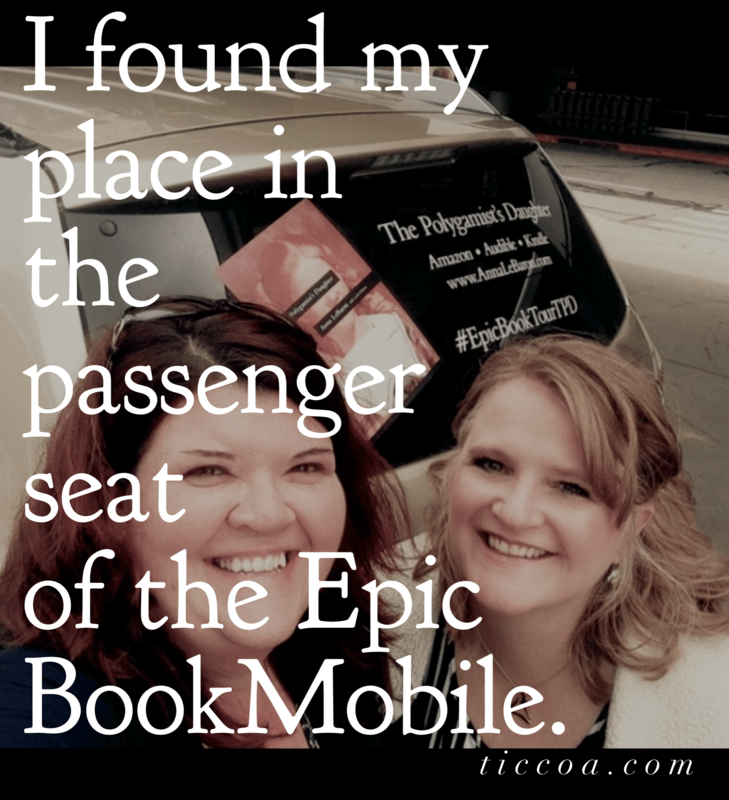 But there’s no other place I would have rather been this summer than in the Epic Book Mobile. It’s time for Five Minute Friday link up again! The rules, as usual, are that you write for five minutes with no editing. Today’s prompt is “Try.” Here we go. A fear of failure, of not meeting some preconceived standard stopped me from doing things I was curious about, thing that were necessary, or things I’d never done before. Last year, I flew on an airplane for the first time after ears of telling myself—and others—that “Ticcoa doesn’t fly?” Why? Because I was afraid. I let my fears of disaster and apprehension of the unknown keep my feet planted firmly on the ground. Nearly one-and-a-half years later, I’ve now flown almost a dozen times. And so, today’s prompt got me thinking—How often do we tell ourselves we can’t do something and allow that untruth to shape our lives? How often are we missing out on an entirely new and thrilling adventure because we aren’t willing to try? I’m trying something new and joining in on the Five Minute Friday Party (#fmfparty), a writer’s link-up hosted by Kate Motaung. Each Friday, she offers a single word writing prompt. The rules are to free write whatever comes to mind for five minutes using that one word as their prompt. No overthinking, no editing. Yikes! My friend Anna has “taken away” my delete key before–and I didn’t like it! We’ll see how this goes! The water rushed over the cliff, dropping 186 feet into the natural pool at the bottom. We stood at the water’s edge, shaded form the July sun, a huge boulder at our backs. Emotions rushed through my heart, thoughts flooded my mind, and tears dropped from the corners of my eyes. The dam was beginning to break and I couldn’t stop it. The grief that I’ve been holding back was cracking through the walls. I turned around, facing the rock, and leaned into it, growling with frustration at my tears and the lack of comfort they brought me. “Do you always snuggle up to rocks when there’s a person standing beside you? ?” she asked, holding out a hand.